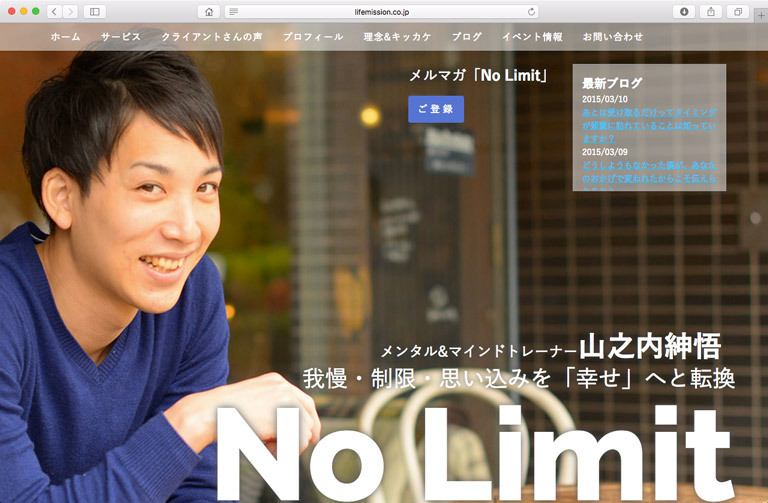 Blog design and development for the CEO of Life Mission, Inc. Shingo Yamanouchi, who funded the company while he was still in college. The main purpose of redesigning his blog was to abandoned Wordpress’ default theme and he needed the new design in weeks, therefore, the design itself was not so carefully proceeded. The goal of this site is to let the audiences know about Shingo Yamanouchi, thus, I laid out the picture of his covering the whole first view so that the audiences could know his character and personality through the picture.